OUR VAPOR COMPRESSION DISTILLERS CAN VIRTUALLY WORK WITH ANY WATER! 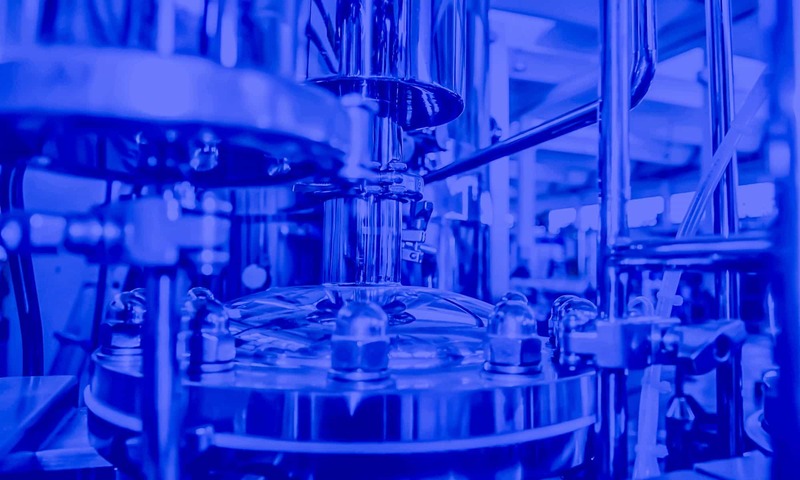 BRAM-COR project drivers are aimed at satisfying all pharmaceutical regulatory and QA requirements, aligning the Vapor Compression Distiller manufacturing to the international cGMP (Good Manufacturing Practices) and Pharmacopoeias. 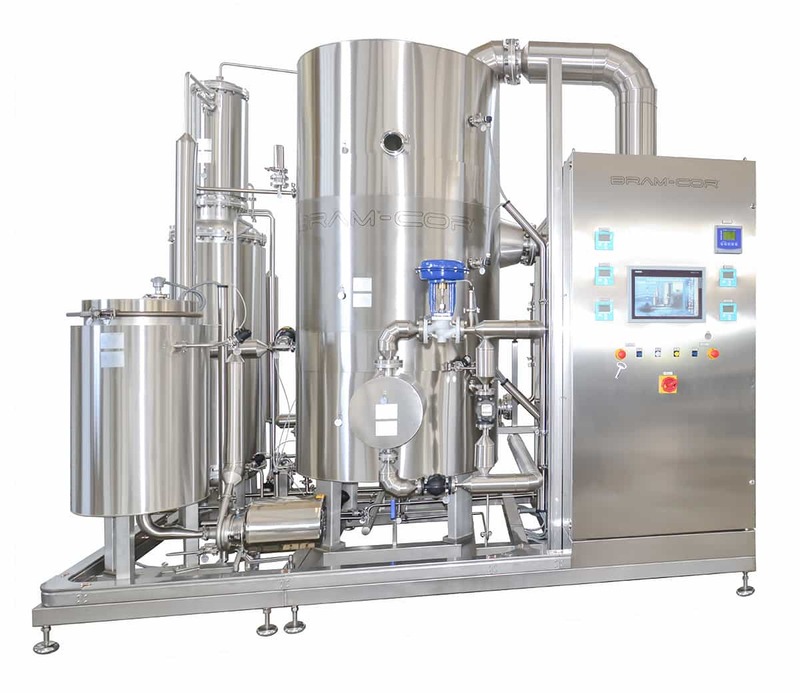 Furthermore, there are customized models with pretreatment systems integrated on the same skid: STMC AEL/AST, with automatic water softeners, and REL/RST, with water pretreatment + reverse osmosis system. For this reason, BRAM-COR STMC vapor recompression still can virtually work with any water available on site. 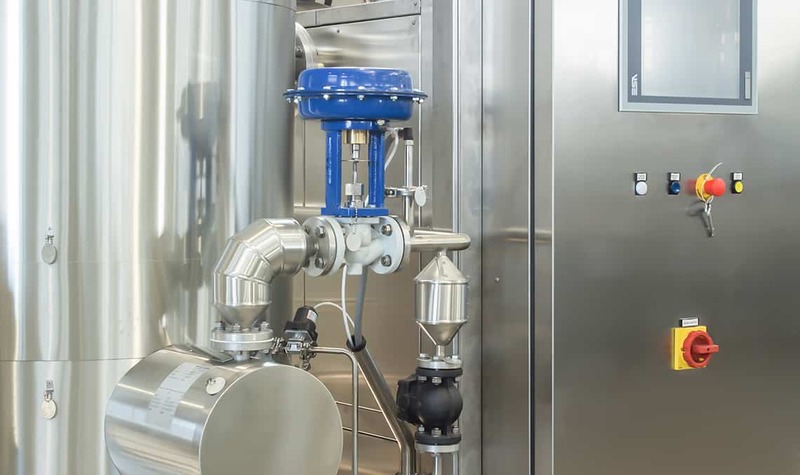 BRAM-COR target in STMC design, manufacturing, documentation, testing and validation activities focuses on the overall compliance of equipment to the needs of the pharmaceutical and biotechnology industry. Highly customized, STMC models have fully automatic control systems (Siemens® or Rockwell® automation unit; touch screen SCADA for compliance to 21 CFR PART 11). 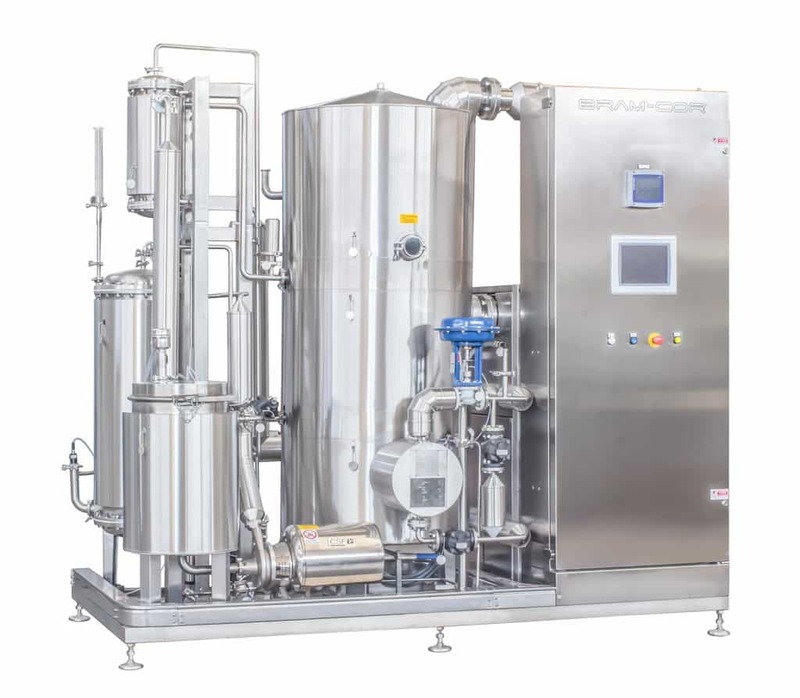 STMC Vapor Compression Distillers ( see here BRAM-COR Water Treatment Systems) produce WFI (Water For Injection) according to USP, EP and FDA rules. 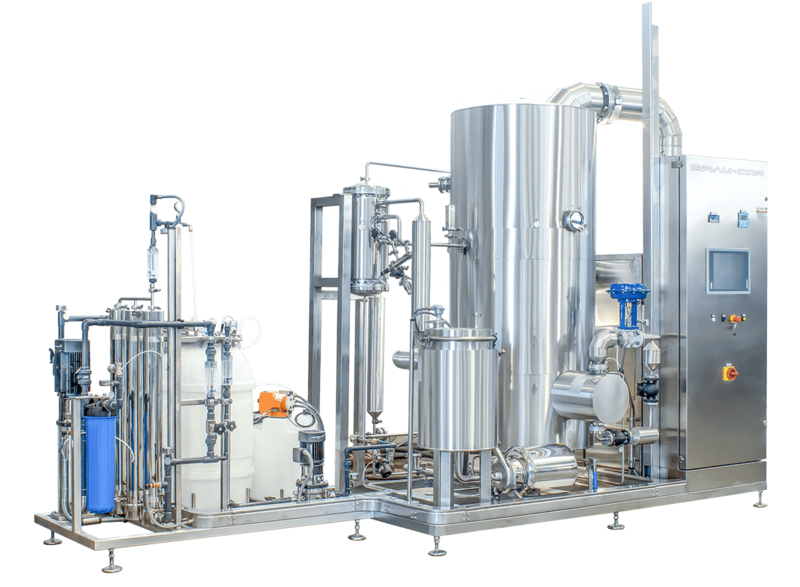 The distillate is free from Oxygen, Carbon Dioxide, Chlorine solvents, Salts, Heavy Metal, which are eliminated by the two special degassing systems. Example: considering an infeed water with a conductivity not higher than 1 microSiemens, the STMC distiller can produce a distillate at 25/30°C at a conductivity of 0,08 microSiemens/cm and a pH of 6,9÷7. STMC Vapor Compression Distillers always work at an internal pressure higher than atmospheric, preventing outside air from entering the plant. In every distillation phase, the distillate is always at a pressure higher than the feed water thereby ensuring that in the likelihood of leakage, the feed water will never enter the distillate circuit. or both with electrical and steam heating (STMC ES). This type of heating is useful when the distiller works 24 hours/day usually, and when there is a lack of industrial steam overnight. See this page for specific knowledge. BRAM-COR is a leading company in customized pharmaceutical technologies and in biopharmaceutical turnkey plants, with a long term experience, dating back to 1964. BRAM-COR worldwide network of skilled agents and our affiliated companies ensure assistance to our Clients in over 50 countries, from the very beginning of a pharmaceutical project throughout decades after start-up. Moreover, BRAM-COR After Sales Department grants punctual and quick deliveries of spares and ongoing technical support. 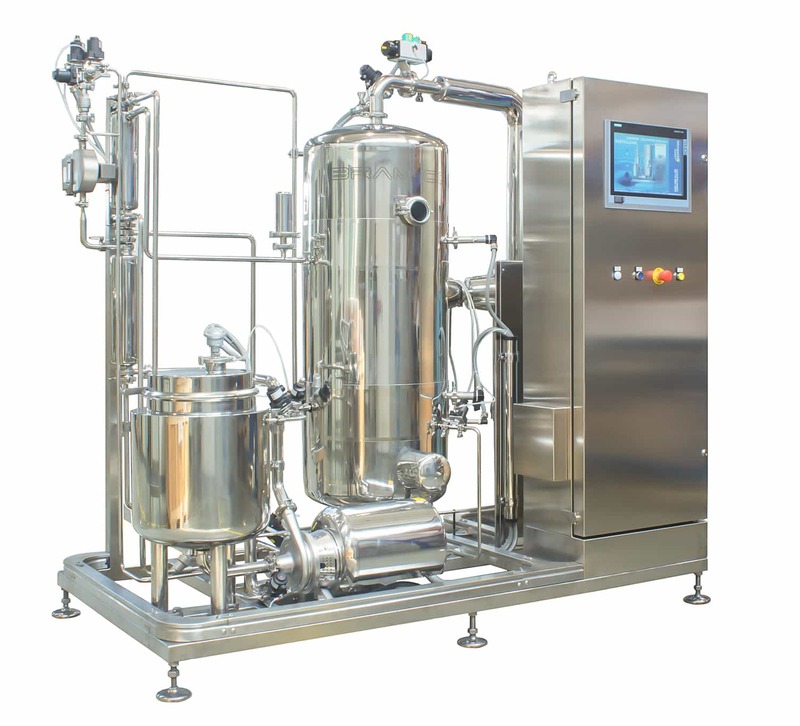 Pharmaceutical Vapor Compression Distillation (VCD), improperly known as thermocompression or such as mechanical vapor recompression (MVR) or mechanical vapor compression (MVC) distillation, too, is the main way to produce WFI Water For Injection and grade waters for pharmaceutical use. More precisely, VCD systems allow to obtain water for I.V. fluids, injectables, infusion and specialist solutions, washing systems and for all products where quality factors such as sterility, elimination of pyrogens and Chlorine solvents and other external substances with low molecular weight are a critical quality attribute.